An image map uses HTML to create multiple hyperlinks inside a single image. To use an image map in Mailchimp, you need to create it outside of Mailchimp, and copy it into your campaign. If you don't know how to code an image map in HTML, your web designer or one of our Mailchimp Experts should be able to help you. There are also tutorials on the web to assist you. 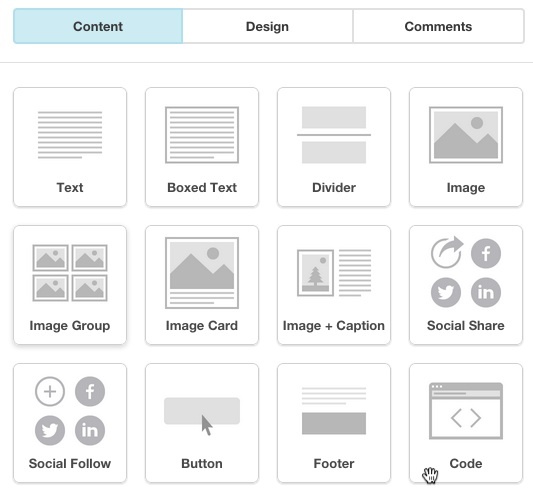 After you've created the image map code, follow these steps to insert it into your campaign. On the Design step, click and drag the Code block into your campaign layout and drop it where you want your image map to appear. In the Code editor, paste in the code for your image map. You can use the default <div> tags provided or delete them. Preview and test your campaign to be sure your image map and all other parts of your campaign are working like they should. Once you've finished testing, you can send or schedule your campaign. Include descriptive alt text for the image map. Most email programs don't load images in HTML emails automatically, so until your subscribers choose to download images they'll only see the alt text you provide. 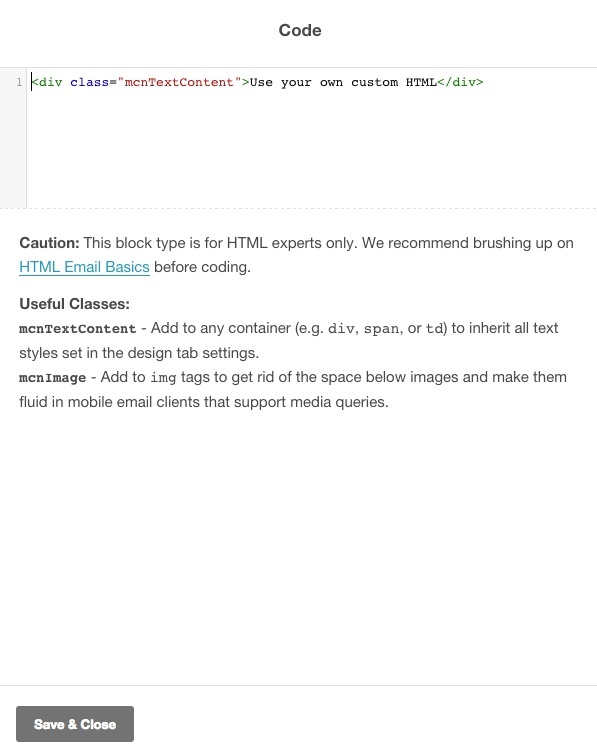 Spam filters look for a balance of text and image content in HTML emails. We recommend a limit of one image map per campaign and suggest that for image-heavy campaigns, you add a paragraph or two of text to your HTML version of your campaign to lower your spam filter score. To count toward your score, text must appear outside of an image, not embedded in it. Remember to always use absolute paths for your images, so each subscriber's email client will be able to download your images.